Lemax The Good Shepherd Figurine (Set of 4) depicts a trusted young Shepherd out in the field caring for his small flock, three sheep at a time. Suitable for placement in and amongst a Lemax village miniatures scene. A popular Lemax Vail Village themed figurine set which joined the Lemax collection in 2001. 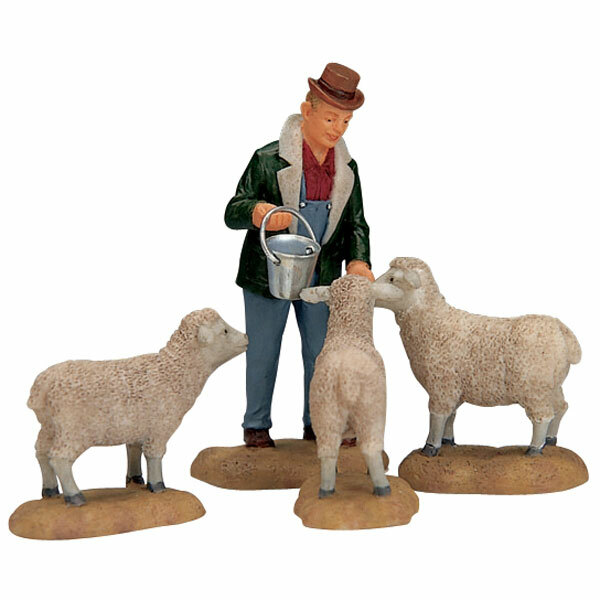 The Good Shepherd set comprises of four individual hand painted polyresin figures on four individual bases to compliment your seasonal Lemax Village display.